The members of the Senate’s standing committee on production and industries paid a visit to the Indus Motor Company (IMC) on Tuesday. The members were briefed by the Chief Executive of IMC, Ali Asghar Jamali, on the company’s contributions to economy and how it is developing local vendor base to generate employment. The delegate also participated in IMC’s million tree initiative by planting a tree. Members of the standing committee have been briefed that IMC is number one company as per sales revenue and the top taxpayer in Pakistan. Also, he added, IMC with 4,200 direct employees is the second largest company with regards to volumes and market share. CEO IMC told the committee that the local auto industry has direct employment of 300,000 and the indirect employment is 2.5 million. 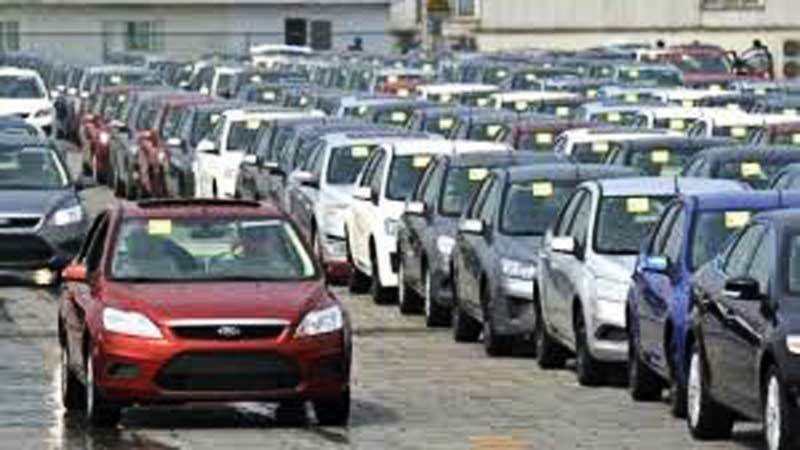 “The local auto industry’s installed capacity is 285,000 cars which is expected to reach 600,000 by 2021,” said Jamali. He said the motorization rate of 18 per thousand shows there is huge potential for the auto industry in this sector as Pakistan will be 5.35 million units market by 2025. Answering a question on safety, CEO said, “Our flagship brand Corolla has NCAP 4 star rating. NCAP New Car Assessment Program was created by USA national highway traffic safety administration to encourage manufacturers to build safer vehicles. Later an NGO “Towards Zero Foundation” a UK based organization adopted it as major project to promote safer vehicles globally. Global NCAP’s serves as a platform for co-operation among new car assessment programmes worldwide and promotes the universal adoption of the United nation’s most important motor vehicle safety standards worldwide.. Senators appreciates the efforts put forth by IMC for providing qualitative products to Pakistani consumers. He highlighted that Pakistan has the record of highest sales of Corolla in Asia Pacific, while it is fourth largest nation in the world regarding the sales of Corolla. “All vehicles for Pakistan are approved by Toyota based on weather, fuel and road conditions and every year a survey is done in this regard,” said the CEO. Members of the standing committee asked about IMC’s plan to manage increase in demand to which the CEO highlighted that the company has invested 126 million dollars to increase capacity to 60,000 cars per year and is capable to produce 80,000 vehicles with over time. Answering the question on localization and developing local vendor base, The Chief Executive informed the committee that IMC alone buys local parts worth of 200 million every day, while last year the company bought 44 billion rupees worth local parts, while it has 35 technical assistance programs to ensure technology transfer. “Our flagship brand Corolla is 65% localized,” he highlighted. Addressing the perception of higher prices of local cars, he informed the committee that a single car’s prices include around 35% of taxes that go to the government. “Corolla in 2019 is cheaper in dollar terms, despite huge devaluation, as compared to the very first Corolla launched in Pakistan in 1993. This has been achieved because of high levels of localization,” reasoned Jamali. On questions from the senators regarding premiums, Jamali said that IMC has introduced new vehicle booking policy (one booking on one NIC) and cancelled spurious orders and dealership to counter premiums. Yet, he added, we request to the government to adopt wholesale-retail mechanism, as adopted globally, to curb premiums. He said that issue of late deliveries has been significantly reduced as almost all vehicles are available within ONE months’ time. CEO proposed to introduce the whole sale retail mechanism in auto industry car sector also to curb premium menace. He stated without support from the government, OEMs alone cannot control these phenomena. He requested the members to look into the issue of recently imposed Federal Excise Duty on vehicles above 1700cc. He termed it a deviation from Auto Policy which will not only sales of vehicles but would eventually dent government’s revenue collection. He highlighted that orders of Corolla 1.8 and Fortuner have started dropping due to this ad hoc decision.